Christmas is days away. Hanukkah just ended. But whatever you’re celebrating this time of year, if you like delicious food then this is the episode for you! 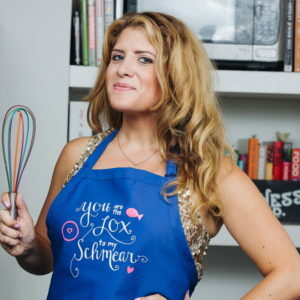 Join hosts Kirsten & Graham as they chat with chef, author, blogger, and curator of all things Jewish and awesome; Amy Kritzer. On this episode of The Home Hour, we chat with Amy about how her love of Jewish food began and how she turned it into a career. We also talk about the deeper meaning behind food, using cooking to share your personal traditions with others, and awesome 90’s Bat Mitzvah invitations!